One of the things I love most about horses is that there is always something else to learn. 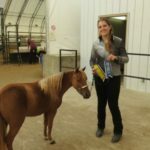 Hopefully, we’re all continuing our education every day, learning more to improve our relationship with our horses and help us achieve our goals. When we’re learning a new training approach, it’s easy to get sucked in to someone’s good marketing, or results based technique. 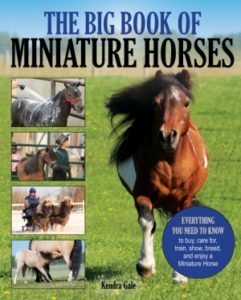 But even though they might talk a good game and tout their successes, it doesn’t necessarily mean that you’ll be doing the right thing for your horse by adopting their methods. There are a few things you can consider to help you have a better understanding of how the method works, and find out whether you’re actually comfortable using it with your own horses. Watch the video without the pretty music or commentary. Really watch the horse’s reaction and see how they feel about what’s happening. Are they bright and engaged, focused on what they’re doing with calm relaxation? Are they fearful and reactive, jumping at the cues and hustling out of the way to avoid consequences? Are they dull and tuned out, responding like a robot with no interest in what they’re doing? Then watch again, this time focusing on what the trainer is doing. Are they punishing wrong answers, or rewarding right answers? Is it easy to see what they’re asking, or are you and their horse confused? In my experience, trainers who claim that you need to use a certain piece of tack or equipment in order to train your horse using their techniques usually a) want you buy their tack or b) are heavily using aversives in their training. Usually, both of these things. Knotted rope halters, training sticks, training halters, draw reins: all use aversives – usually pain – to force compliance. Is the equipment itself harmful? In most cases, no. But the use of it in uneducated hands could easily result in fear and pain for your horse. Even used “properly” these tools are training horses by making them avoid the aversive stimulus, and are unlikely to create a comfortable, engaged and willing partner. Think about it – what if you were taught a new skill only by getting a painful pull or poke when you didn’t do it right? You’d definitely figure out how to get the right answer as quick as possible, to make the painful stimulus stop, but you probably wouldn’t be very keen to volunteer that skill in the future, or to learn anything else either. And what if the timing was poor, and you couldn’t figure out what the right answer was to make the pain stop? Like humans, every horse is an individual. Everyone loves a system, a step by step process to follow and get results. So that’s what many trainers sell. Follow these steps, do these things, voila, you’ve got a trained horse! Unfortunately, the same approach simply isn’t going to work on every horse. 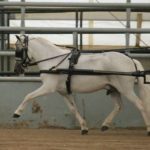 They all learn differently, they all react differently, and while a trainer’s technique might even be effective with the majority of horses, there are still going to be some very uncomfortable square peg horses, with owners who are trying to stuff them into the same round hole. That’s also why it really is beneficial to learn from everyone you can. 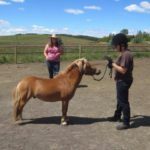 Understanding the techniques of a wide range of trainers – even those who’s methods you’re never going to implement with your own horses – might just give you the knowledge you need to explain something to your horse in the way they understand. Many, many years ago, there was a lady selling bitless bridles at a show I was at. She was an excellent sales person and had everyone quite excited about the idea of going bitless. I remember saying something to the effect of, “it might be fine for riding, but for a driving horse you need the control of a bit.” And based on my knowledge at the time, it made sense to me. But I’ve learned a lot more over the past 20 years. Now I know that we don’t control a horse with any piece of equipment, and if that’s what we’re trying to do, we’ll never truly have control. Instead, our equipment should help us communicate with our horse, and if our horse doesn’t understand the line of communication, then no amount of physical control or escalating pressure is going to make a difference. 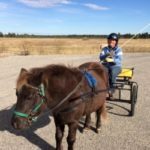 I’ve driven horses bitted and bitless (in a sidepull or a halter), and in a horse that understands the communication, the only difference is their own personal preference. Many bitless bridles are just as aversive as a bit, and it’s down to the hands and understanding of the trainer whether they are used as a method of communication or control. If it makes you uncomfortable to watch, if you find yourself hesitating to try it on your own horse – don’t! Even a beginner can listen to their gut instinct. Just because someone with more experience with you tells you to do it, if it feels wrong, you have the right to say no. You are the expert on your own horse, you know them better than anyone else, and if you feel it isn’t the right choice for your horse, it’s your responsibility to speak up on their behalf. A good trainer will respect your concerns. A good trainer will explain their point of view, discuss their approach, and find another way that is comfortable for everyone. If your trainer isn’t comfortable with you speaking your concerns, or making different choices for your horse, then maybe they aren’t the right trainer for you. Do you want your horse only doing what you want because they’re afraid of the consequences of getting it wrong? Or do you want a partner, one who understands what you’re asking and performs for the incentive of a reward rather than the fear of punishment? Great article Kendra. I really like the idea of turning the sound off and just watching to get a truer picture of what the horse is experiencing.